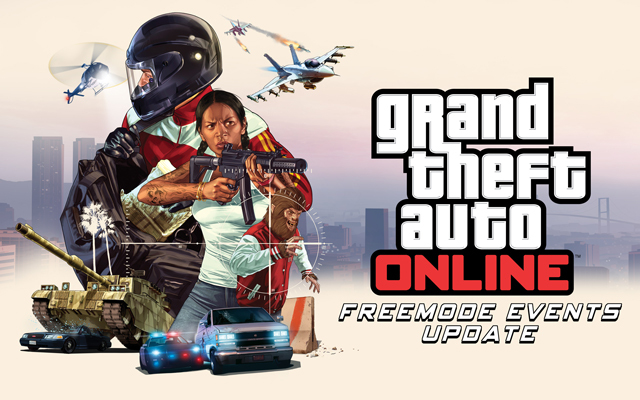 Rockstar have improved GTA online immensely by adding GTA freemode events! I understand that these new events won’t be everyone’s cup of tea, but concept behind them is sound and it adds another wrinkle to an online that seems to only get more and more content! I was surprised by the amount of people who will actually play the freemode events, the first event I played was a king of the hill type event and it eventually became so crowded that the game was won by the first person who arrived at the hill. Annoying end in one sense? Yes, but the fun didn’t end there, as all the players who arrived at the event stuck around for some good old fashioned shooting. Things like this rarely happened before the freemode events, I felt that the Rockstar have done a good job adding more opportunities for big firefights. There are over 10 freemode events available, from king of the castle to hunt the beast, alongside this Rockstar have added freemode challenges which pitches you against the whole freemode lobby to achieve the best score, the challenge can be from the longest jump, the most near misses in a row to surviving the largest fall. As well as new additions to freemode, there are 2 new adversary modes, Hunting pack is a game type similar to cat and mouse from the Project Gotham games, the hunters have to slow the mouse for a few seconds to get it to explode, thing of this like the Movie Speed. 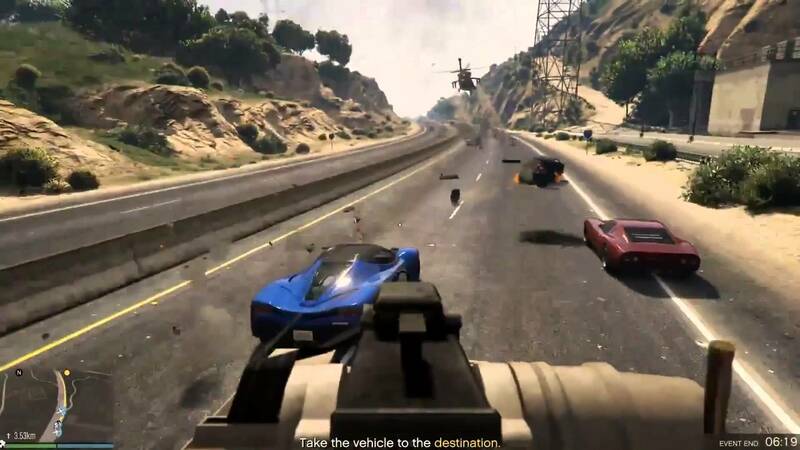 The mouse is usually in a much larger vehicle like an armored truck whilst the hunters are in light sports cars, it creates a great challenging game. The other new game mode is called cross the line. This game mode requires one team to cross the neutral zone and get to the opposing teams territory. This game sounds good on paper and could be either brilliant or a fail as team mates could potentially troll. GTA online seems to be an ever expanding online giant, Rockstar have been rumored to have stopped or slowed work on single player DLC to continue work on the online aspect of GTA V. I would like to see another story for GTA V, there was so much in the normal game that they must have planned something pre release, I’m sure we will see something soon!